The great Iroko tree has fallen. 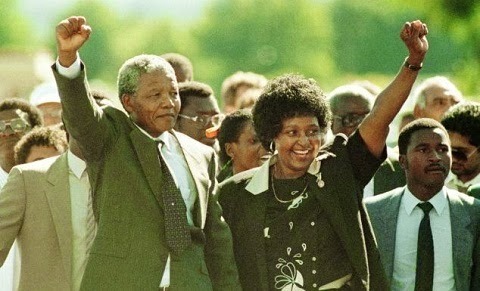 For a life well spent the death of Former South African of President, Nelson Mandela was announced on Thursday by the South African President Jacob Zuma. 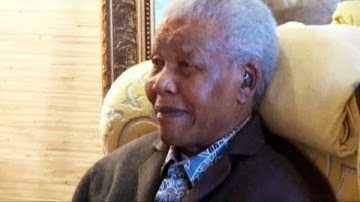 He died at the ripe age of 95 in his home in Johannesburg. "Nelson Mandela, 95, passed away at his home a short while ago. While the late President's health had been in steady decline for a number of years, it is still difficult to come to terms with the fact that he is no longer with us. resistance, even in the midst of the most terrible circumstances one could possibly imagine, is and should be possible. He could have been bitter and call for retaliation against his and his peoples oppressors, but he insisted on a government of inclusion and reconciliation. Somehow, some way, he succeeded in bringing his people along with him. "The world lost a giant today. One of those few people that is bigger than life and he will be remembered for many years to come. May he rest in peace." Nelson Mandela was Born in 1918. He joined the African National Congress in 1943, as a law student. He and other ANC leaders campaigned against apartheid. 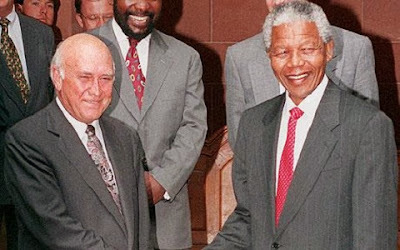 He was arrested and sentenced to life imprisonment in 1964, but was released in 1990 after 27 years in jail on Robin Island as South Africa began to move away from strict racial segregation. He was awarded the Nobel Peace Prize in 1993 and was elected South Africa's first black president in 1994. He stepped down after five years in office in 1999. 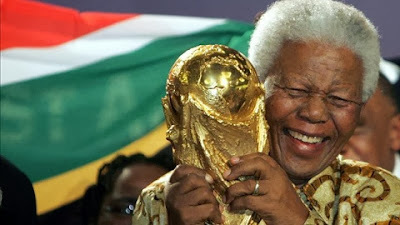 He helped to secure his country's right to host the 2010 football World Cup.